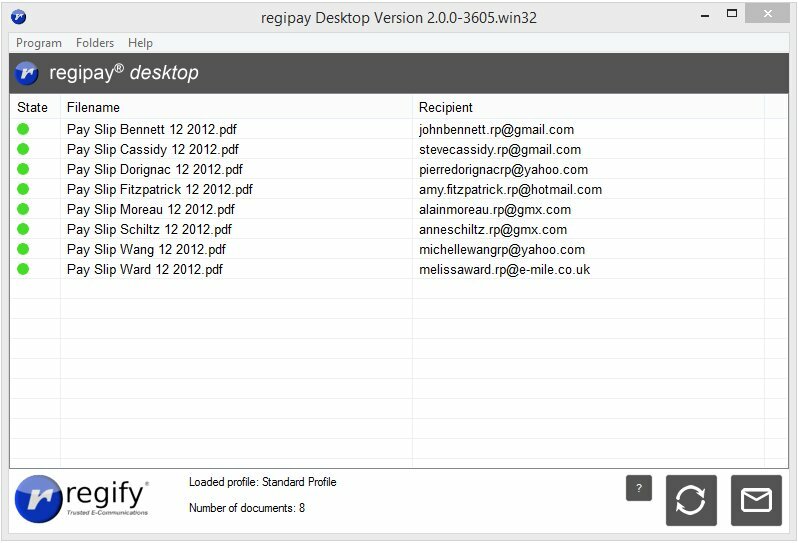 regipay desktop allows the easy and convenient sending of payslips using regipay. You deposit the payslips into the processing directory and regipay desktop will extract the recipient addresses from the PDF files, registers the transactions and sends the payslips via e-mail (SMTP) by pressing a single button. Your regify provider needs to activate regipay usage for you.